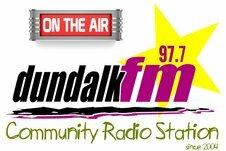 Dundalk FM is a not-for-profit, independent, friendly, community development organisation giving voice to all in Dundalk and surrounding area. We are committed to educate, entertain and inform through our wide range of programmes. local interest. They will find the members of the station accessible and approachable. They will hear a laid back,’ ordinary person’ presentation style, and have access to local news, sports and information as well as specialist music shows. Make Dundalk FM your homepage! Host your own show . .
Click to view our Rate Card.